Is Joe Jackson cashing in? A COMPANY working with Joe Jackson has been accused of illegally cashing in on his dead son's name. Joe has recently been promoting the Michael Jackson-branded perfumes, Jackson Tribute, Legend and Legacy on behalf of Julian Rouas Paris but according to a new lawsuit, the company never obtained permission to use the name or image of Michael - who died of acute Propofol intoxication in June 2009 - on the product. A representative for Bravado International, who are responsible for selling Michael Jackson products told TMZ: "Michael Jackson's talent made his name one of the most valuable in the history of entertainment, and no person acting on behalf of the estate gave Mr. Rouas oral or written consent to exploit it." 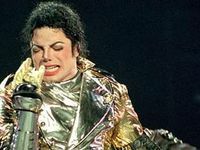 Bravado International has asked a Los Angeles federal court to remove Michael's name and likeness from the perfume and is seeking $750 for each time they were used along with three times the amount of profits already made and more than $150,000 in damages. Joe has recently defended his controversial plans to turn his son's Californian ranch Neverland into a theme park, as well as a second site, Happyland in Vietnam, insisting it is what Michael always wanted. 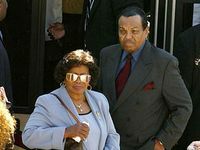 He said: "I want people to know that it's (the Jackson Family Foundation) a legitimate foundation to make money and carry on what we have to do. It is for the health of people in need, like any foundation, in any part of the world. "Michael had Neverland. It was his mission before Michael passed away to create a theme park and we are taking over that mission."